Welcome to the Tamworth Regional Astronomy Club Inc! 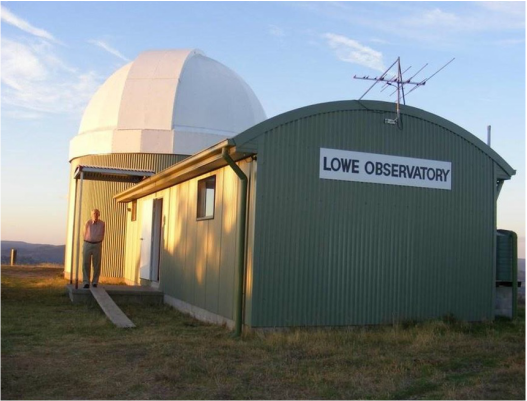 The Lowe Observatory near Bendemeer, NSW, with owner Lindsay Lowe. The Observatory contains an equatorially mounted, computer controlled 0.8 metre (32 inch) reflecter telescope, one of the largest privately owned facilities of its type in Australia. The Tamworth Regional Astronomy Club is proud to be a friend of Lowe Observatory. The Tamworth Regional Astronomy Club Inc is a group of keen, local amateur astronomers in the Tamworth region of New South Wales, Australia, with the aim of promoting the science of astronomy. The Club has been inspired by the Lowe Observatory located near Tamworth in the Moonbi Ranges at Bendemeer and the Club's acquisition of several large quality telescopes. Our goal is to provide educational opportunities for people of all ages to learn more about astronomy. We conduct regular monthly meetings and observing nights through large optical telescopes and other educational activities and social events. The Club was established in 2015, become an Incorporated, not-for-profit organisation in January, 2016 and has been accepted by Tamworth Regional Council as a Section 355 Committee. Under the Section 355 arrangements, the Club is planning to develop an Astronomy and Science Education Centre and Planetarium Theatre and also a Roll-off Roof observatory at Victoria Park in the Botanical Gardens precinct located in East Tamworth. More information about this exciting development is available here. The Tamworth Regional Astronomy Club's 0.9 metre (36 inch) dual focus reflector telescope. Our members are from a diverse range of backgrounds and professions and we all share a common passion for observing our amazing universe and sharing our knowledge and skills in the field of amateur astronomy with others in the community. 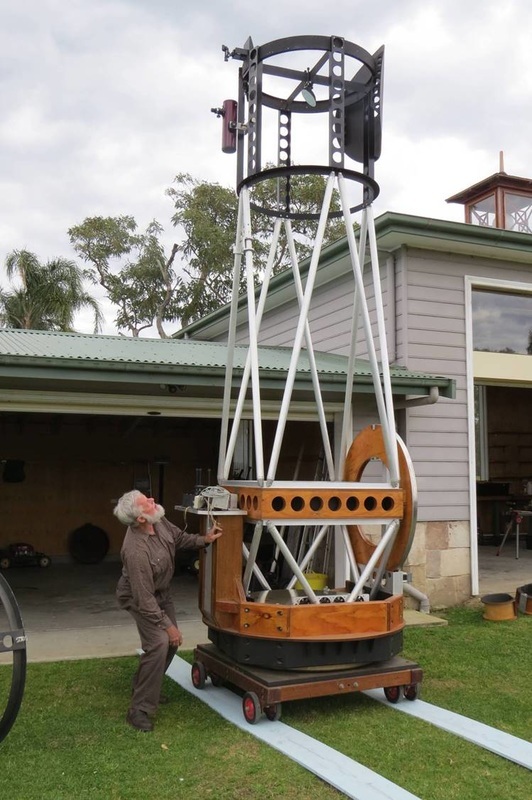 Many of our members own or have built their own telescopes and the Club is extremely fortunate to own one of the largest amateur telescopes in Australia - a 0.9 metre (36 inch) dual focus reflector (pictured at left) purchased and donated to TRAC by Warwick and Margie Schofield. We look forward to the opportunity of using this amazing instrument to help promote an interest in astronomy across the Tamworth region and beyond.